It’s actually one of the first gourmet pet food store I’ve seen in the metro. They offer a huge variety of pet food and treats—all of them organic, all-natural. I was a bit skeptical buying a whole lot of dog treats for Shantee and Kubrick. 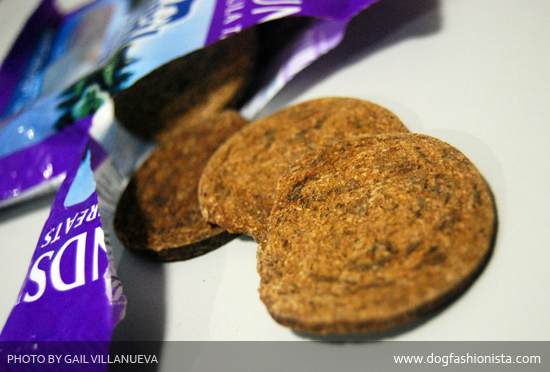 They weren’t used to such kind of goodies—and those pet treats don’t come cheap. 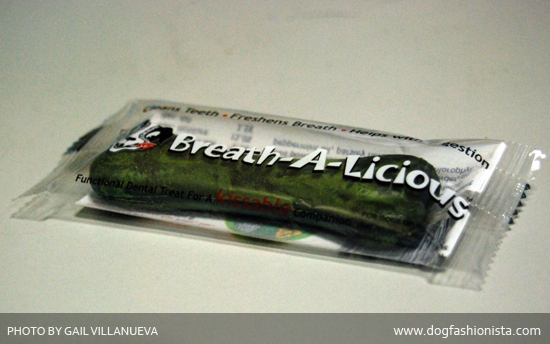 A small pack of the Natural Balance Roll-A-Rounds (lamb-flavored dog treats) costs Php99, while the Breath-A-Licious dental treat is Php55 each. My little dogs aren’t really used to this kind of treat, so we thought it prudent to buy just one of each in case they didn’t like them. Next time I’m in Shangri-La again, I’ll be sure to buy more for my little doggies.